Sony have just announced their brand new range of Mirrorless cameras with a catch - they're FULL FRAME! The exciting release of the A7 and A7R will be a sweet aroma to Sony fans and photographers seeking DSLR quality images in a much smaller and lighter form. It will also act as a call-to-action challenge for the rest of the industry to play catch up as Sony paves the way by introducing the first full-frame of its kind in the photographic market. Alongside this release, several new full-frame Zeiss E-Mount Lenses will also be released including a 35mm f/2.8 (available late 2013), 55mm f/1.8 and 24-70mm (available early 2014). 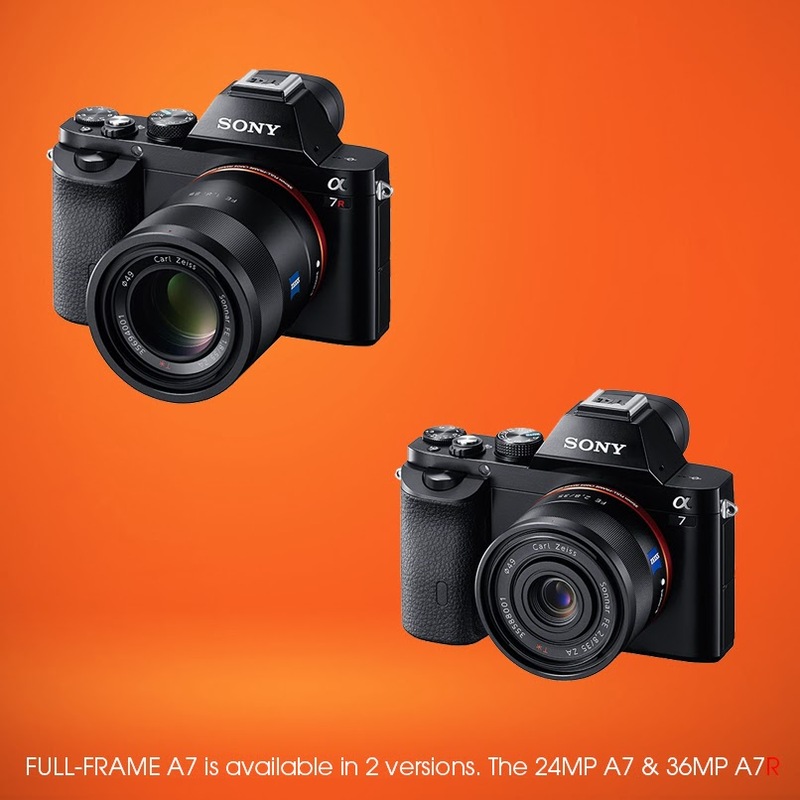 Just like the recent Olympus OM-D E-M1 announcement, the Sony A7 and A7R models will be much sought after this Christmas so register your interest today to receive the latest news update for pre-ordering this compact masterpiece. I also bought a camera with perfect camera lenses and it is awesome.